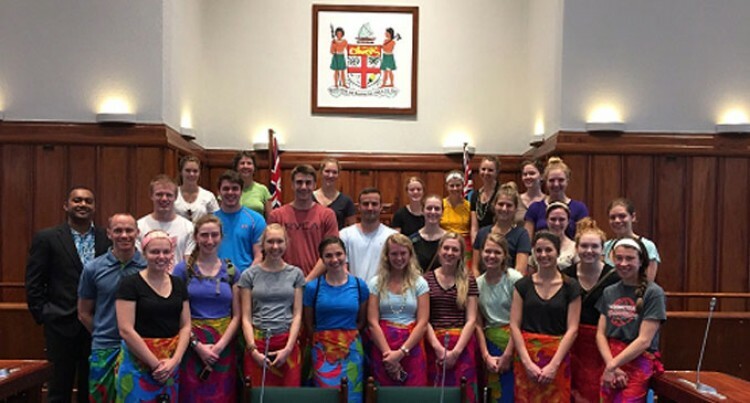 Twenty-five university students and two professors from Gustavus Adolphus College of the United States of America toured the Parliamentary complex and the main Parliament chambers. This is part of their month-long course in exploring history and culture in Fiji. According to their team leader and course co-ordinator, Professor Leila Brammer, the students are enjoying their visit to Fiji. “Everyone has been helpful and welcoming and the people are friendly. The students loved the village visit with the generous Fiji hospitality,” Professor Brammer said. The group also visited Pacific Harbour, Nukutubu Village and the Fiji Museum. The Parliament of Fiji will be organising a range of activities and programmes for all visits to Parliament this year.